Carlo Betocchi, Grace (aka Heaven), OpenLinkNight, Summer! Hi everyone! Grace here to host today’s OpenLinkNight! I hope you are all enjoying the summer (or spring) season. In my part of the world, we are celebrating summer with food and music festival every weekend, and currently playing host to Parapan Am games, after Pan Am games. As summer here is very short, we relish the long sunny days by going out, despite the occasional rain & hailstorm. the heart of the air. Carlo Betocchi, Tutte le poesie, © Garzanti Editore spa, 1996. So, how are you spending the last days of summer? Click on Mr. Linky at the bottom of this post and enter your name and direct URL of your post. Come by the pub and drop a comment or just to say Hi! Read and visit other poets’ work as this community thrives on reciprocal visits. Have fun and spread the word to your poet friends. Summer and vacation coming to an end.. Though we are still waiting for some warmth.. Maybe some moonlight can be seen soon. Great to see you again, Bjorn! Yay, I finally have a night when I can participate! It’s been a busy summer, but I’ve been trying to squeeze in as much reading as possible. I have to run out now to do some errands, but I’ll be back later to catch up on everyone’s poems! Happy Open Link Night! Nice to see you, Kelly! Good evening! Summer still seems long and hot over here, nearly a whole month of school holidays to go… (but also some work deadlines). But after 10 very productive writing days, I shouldn’t complain. Hope you are all staying cool, enjoying the long days (or for those in the southern hemisphere that it’s not too cold – I hear Australia has been rather extremely wintery this year). We are having an exceptionally nice summer really. Not too hot and not too cold…and very few bad storms. Perfect! Hi everyone! Another blazing hot day here. Storms last night. In spite of this being the first week of August, I am starting to feel the winding down of summer, and anticipating fall. We had storms, again, last night. By 10 am, it was like walking around in steam. Like I said, counting down the days to autumn. It’s been a while since I was last here. Tonight’s offering from is my latest poem to be published – the first one of the summer so far! Which has all been a bit hectic for me, one way or another… But finally, it’s so lovely to be back here again and really looking forward to catching up with lots of fresh new inspiration from you all…. Thank you Grace 🙂 Good to be back! Hope you are enjoying your visit, Sanaa! Safe flight home. To the Super Hero or Good Fairy Queen who posted my poem for me:: Thank you!!!! I was surprised to see me already on Mr. Linky. Wow…. I thank you, too, Mary–as always. Thanks for hosting Open Link, Grace! I will be around. 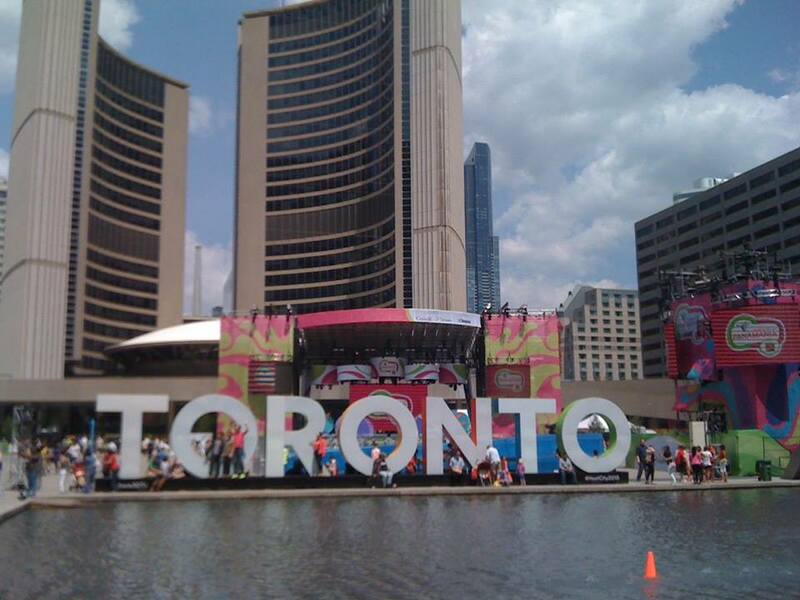 Hey Grace, I was in your neck of the woods, Toronto, about a week before Pride and the PanAm Games. Dog Days are definitely the theme for August, at least here in the northern hemisphere. Ah well, we’ll be kvetching about winter cold again soon enough, n’est-ce pas? Quite right you are, we always find something to complain about – too cold, too hot, too grey, too bright… Still, all good subject matter for poetry, right? I am spending the last days of summer composing music, writing posts, hiking hills, sailing and bike riding. Most importantly all that with people dear to me — I am fortunate indeed. Here in Australia we are looking forward to Summer. In my part of the country, we seem to be having an early Spring – glorious days, if cool nights. I’m glad to have Open Link Night to share a poem written not to any prompt but because it had to be written. P.S. WARNING: It’s a sad poem about the imminent departure of my elderly cat – some of you may have seen it already on facebook and not wish to revisit. Oh, Rosemary, that did make me cry… so sorry to hear about your faithful friend. It’s really hard, isn’t it? Hi Grace and fellow dVerser’s! West Coast late as usual but looking forward to reading. Love the poem you shared, Grace. Our summer has been quite uneventful but loving breakfast mornings on our deck and lots of time spent in the garden. I’ll probably be doing most of my reading tomorrow AM. It was a perfect day, temperature wise. Looking forward to going out of town this weekend to a blues festival not too far away from you, Grace. 🙂 Hopefully the sun will keep shining, but I suppose the rain goes well with the blues anyways. Just not sure I want any hail bouncing off my fedora. Looking forward to hitting the trail for some good reading before I leave. Nice turnout for sure! I will be checking back tomorrow as well. I hope they’re not the last days of summer! I’m fretting because the poetry is not coming, putting a new somewhat psychedelic quilt together and sitting in the shade. Everyone’s doing such fun, wonderful, summery things with there time and meanwhile, I just finished Batman: Arkham Knight on PS4. Pretty cool game. I was addicted, which sadly, negatively affected my writing passion. Well, the video game, and my chronic depression combined to kill off my creativity for a while. But then I got into it with my boss on an unrelated, stupid, petty thing, and while I didn’t get fired, I’m aggressively looking for a new job. On the bright side, my rage at my boss kick-started my writing bug again, so I guess I’m back!